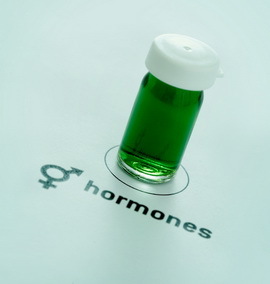 If you’re a male and you’re thinking this post isn’t for you, hold on a minute, because even though we’re talking about “estrogen”, it involves you too. Everyone is exposed to xenoestrogens through our environment. They are in the air we breath (chemicals, pollution) the water we drink (plastic bottles, pollution), the food we eat (non-organic foods, animals being given hormones and being fed GMO products), and the products we use (anti-aging creams, lotions, cleansing products, makeup, laundry detergents). Lorraine says everything from diabetes to infertility are being linked to the “evil twin sister”. 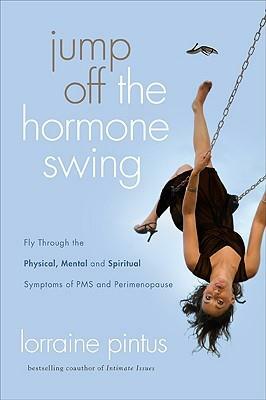 Also, many women who suffer from sever PMS and perimenopause symptoms are estrogen dominant. Xenoestrogens are a big part of that dominance problem. If you would like to learn more about xenoestrogens in particular, here are a couple more websites. Or, you can just Google “Xenoestrogens” and you’ll find all kinds of information. So, without getting completely obsessive and hyper about it, let’s look at it logically. 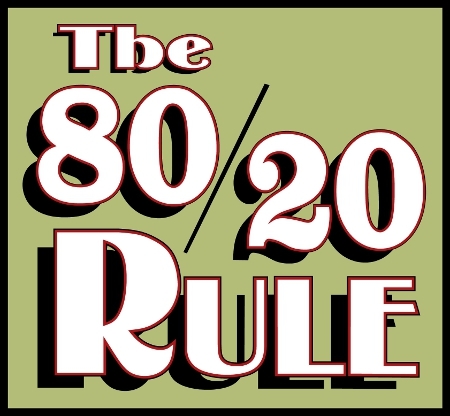 Lorraine uses the 80/20 rule, which I think is a great idea. 80% of the time we can pretty easily control what we use, how we use it, what we eat, and what we are exposing ourselves to. If you leave your house, which we all do, then it makes a lot of sense that 20% of the time, you can’t control it, nor should you worry about it. Life is meant to be enjoyed. So approach this with the attitude of, I’m going to take control of what I put in and on my body and expose myself to, as much as possible. A little awareness and action is better than none. So, before you go gather all of your toiletries and cosmetics to check how awful they are for you, remember the goal is to minimize your exposure to unhealthy things, because truthfully, it is impossible to avoid them 100%. 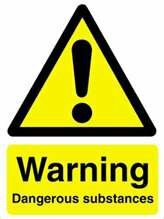 When you’re finished looking everything up you can go to the upper tool bar on the website and click on whatever you like to find lists of products from different companies that are non toxic. You can order them online, or print them out to see if you can find them locally. And just in case you aren’t freaked out enough by the toiletries you’re using, here’s another website she listed so you can look up all of the chemicals in the other every day products you use. *But even before you do that, you may want to self medicate with a nice cup of soothing tea and my Fig Pillows. 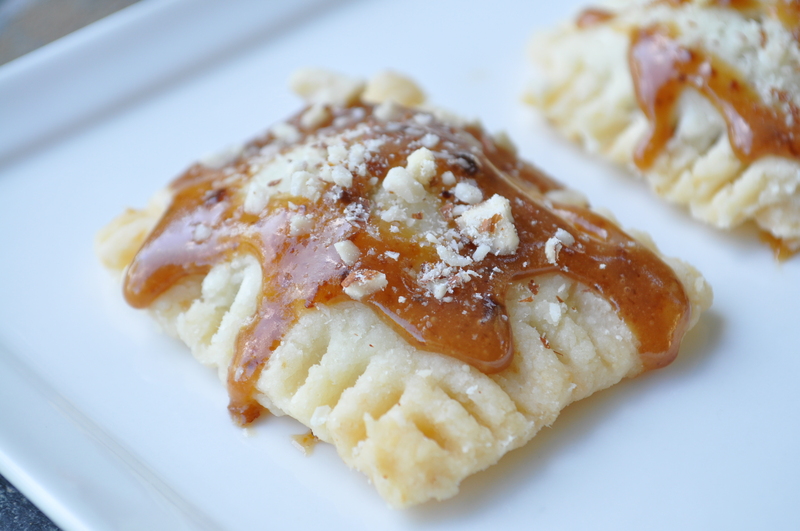 Because we all know that pie crust pretty much makes anything better. 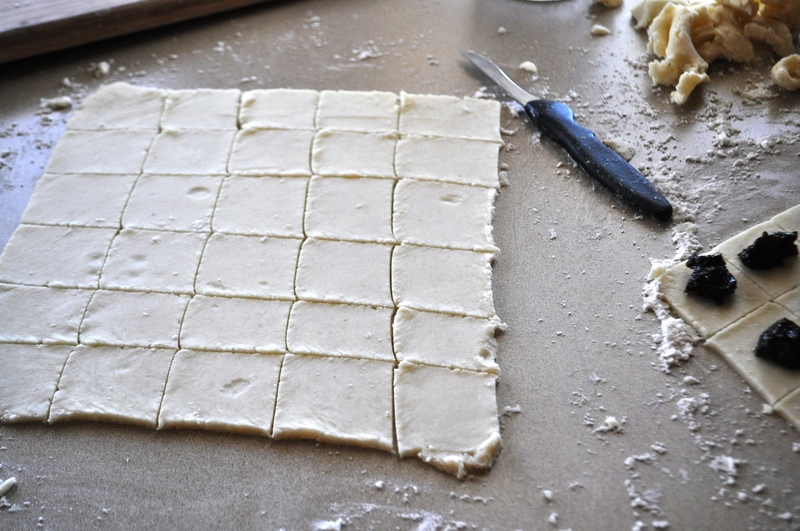 Roll out one portion of dough and slice into 30 squares with a sharp knife. 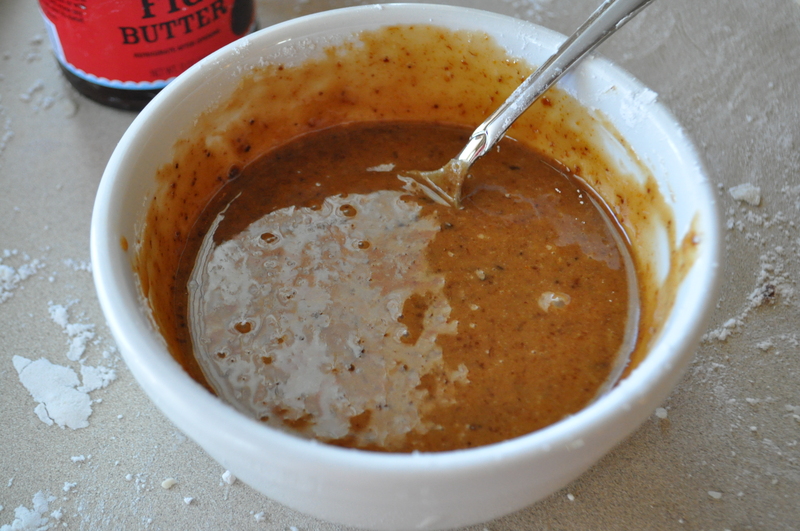 Add about a teaspoon of the fig butter to each square. 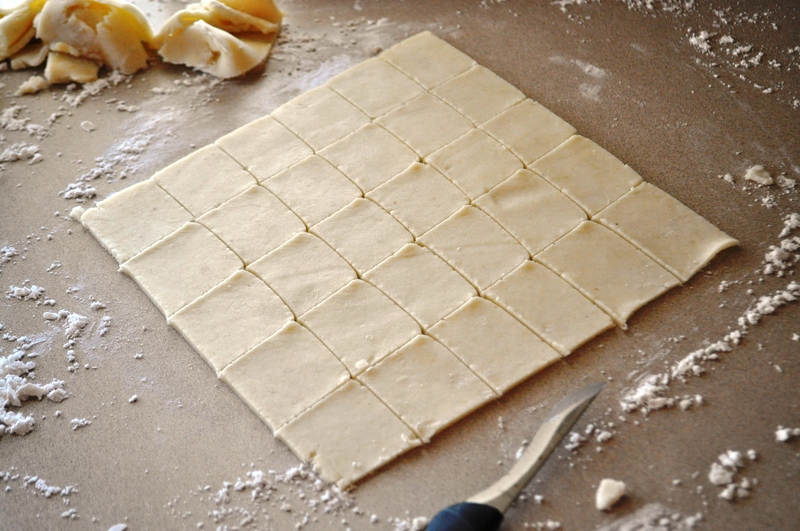 Then, roll out the second portion of dough and slice into 30 squares. 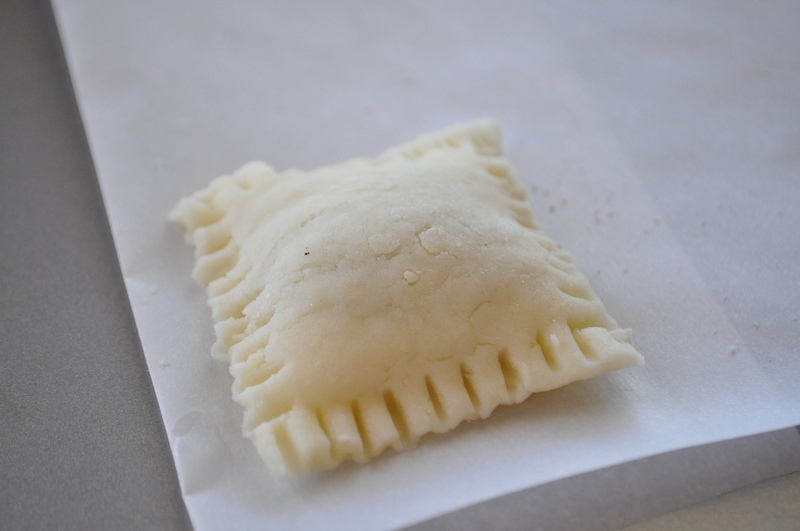 Using a flat knife (I use a frosting spatula), take one square of plain dough, pat it out just a little with your fingers. 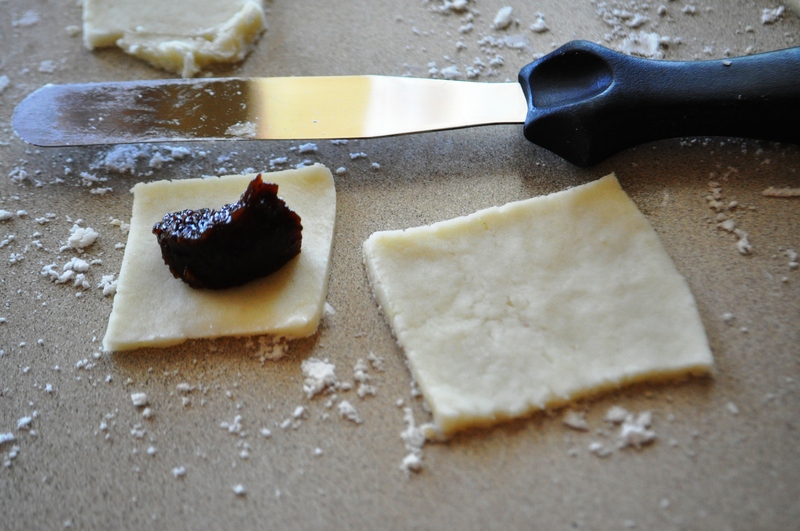 Take the patted out piece of dough and cover the fig jam carefully pressing down around the sides. 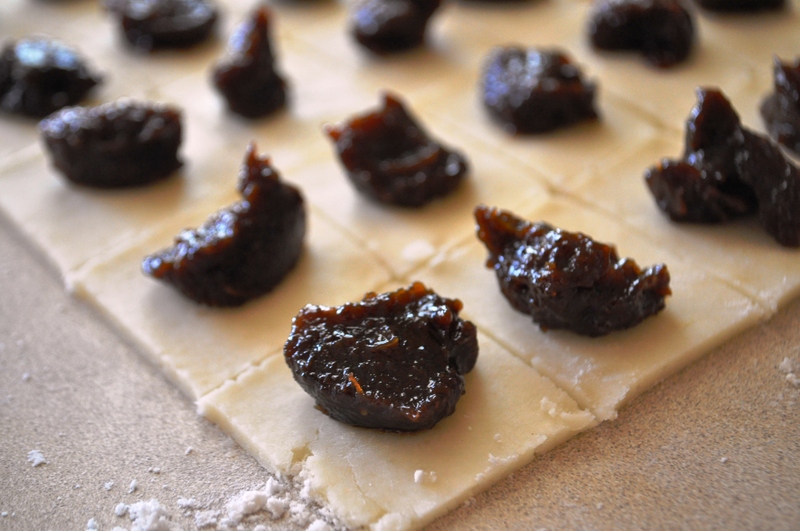 Score each side with a fork, poke once in the middle so air can escape, and place the fig pillow on a parchment lined baking sheet. Continue with the remainder of the dough until they are finished. 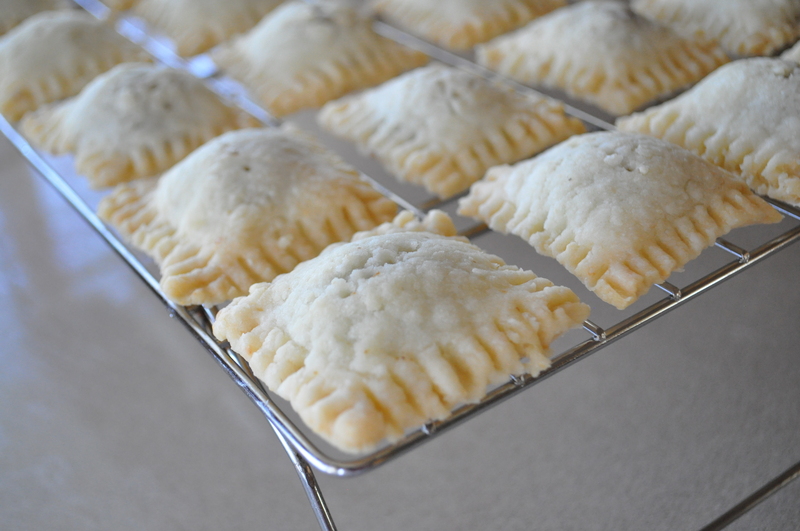 Bake in a preheated oven for 22 minutes and remove to a cooling rack. 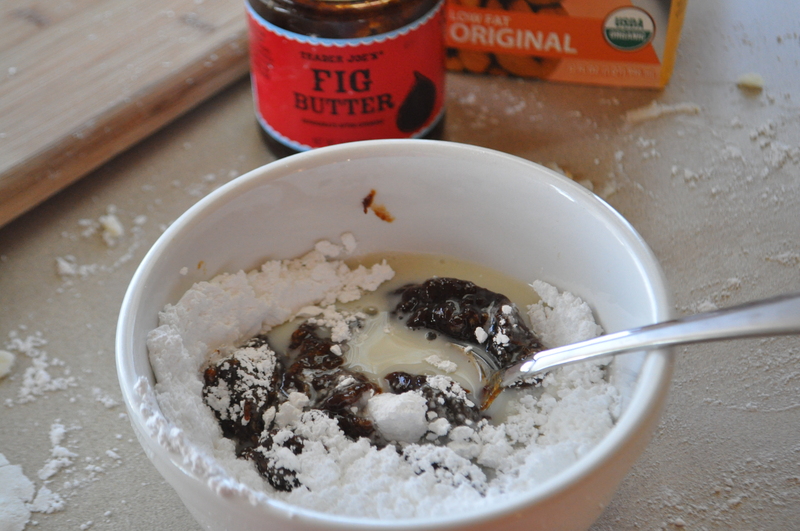 While the cookies are cooling, make a glaze with the powdered sugar, fig butter, almond milk, and pure almond extract (about 1/2 tsp. ), and finely chop about 1/4 cup raw almonds. 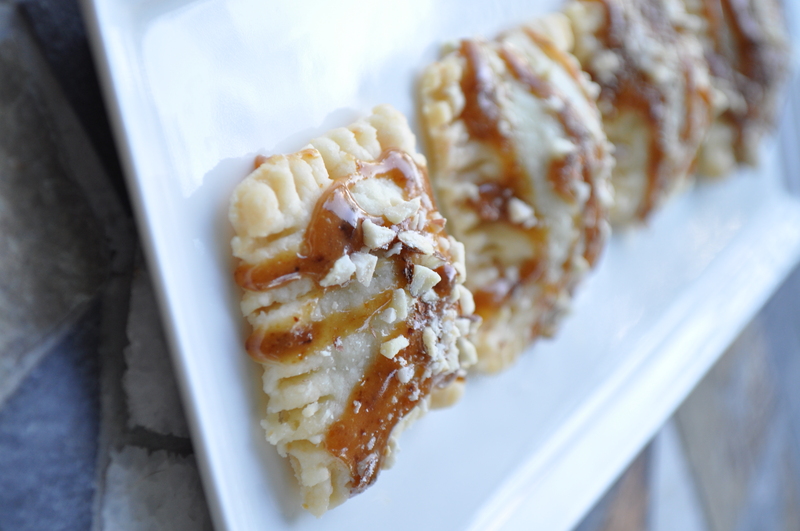 Leaving the fig pillows on the cooling rack, drizzle with glaze and sprinkle with nuts. Thanks, Smidge! I think the filling and topping choices are probably endless! I’ve also made them with a goat cheese, spinach, and garlic mixture. Yum! Yes, that product website is a definite eye opener. I’m going to do a little more research and see if I can get all of my daily products into the 0-1 range. Every little bit helps! 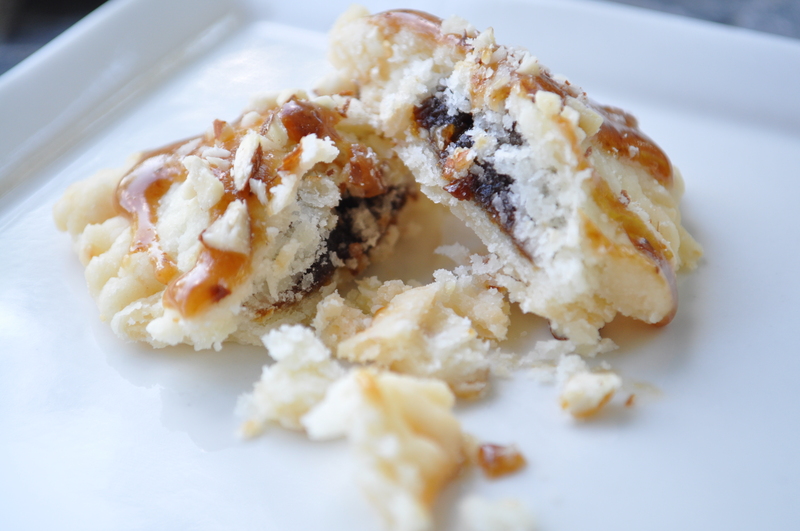 These fig pillows sound delicious, April. 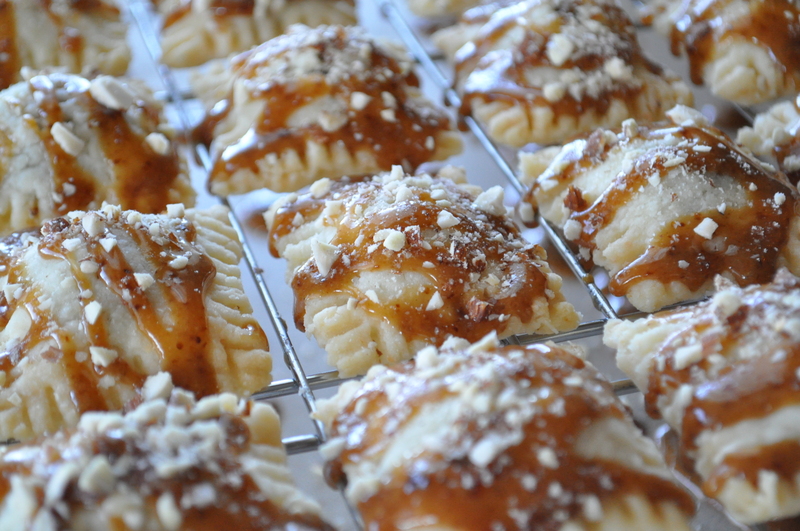 I’ve made “dessert ravioli”, using chocolate or strawberry for the fillings. The dough, though, isn’t pastry dough. You know, there’s just no way of knowing which is best without side-by-side taste comparison tests. I volunteer for this important research. I know it will be a sacrifice but we bloggers must do what we must.